I was planning on getting these for my Cockatiels as have 2 mated pairs? Current use stand lamps on timers, but wanted to clean up setup as was going to wire to one large DC power supply and that way can be easy for disconnect and clean up as well when I have to move cages and can get rid of the stand lamps, as did get a modular cage setup and light can mount directly in cage and they do have ones that are ChewGuard, so they can chew up wires and ETC. Yes I do no they do no benefit for activated Vitamin D for absorb calcium, not what I am getting them for. More for UVA and 12 hours photo period management when they decide to breed. 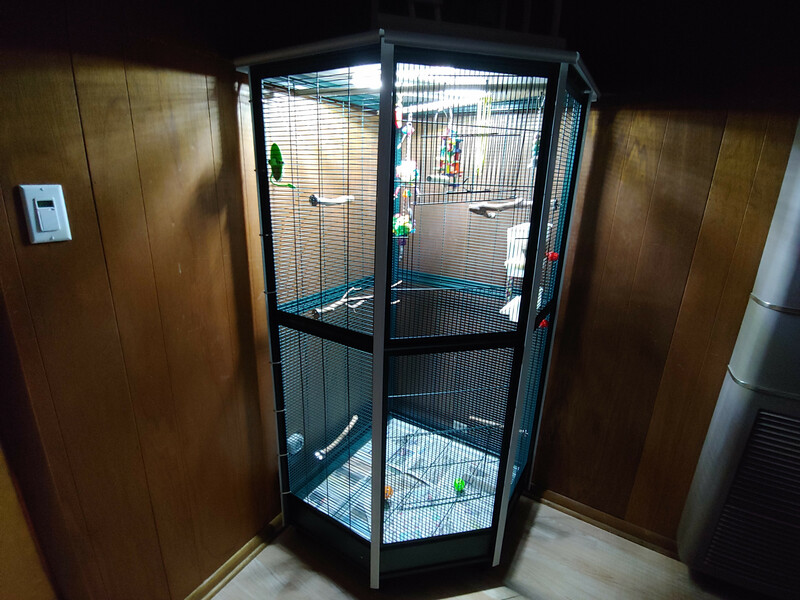 May also mount one in my main large Cockateil cage as well? Don't need for big birds as they are outside a lot and out of cage for most the day. The cockatiels don't get as much outside time due to don't want them to be lunch for a hawk? Just wondering if anyone use these and are they any good? Last edited by ParrotGenie; 03-25-2019 at 12:13 AM. I didn't see where the actual "color" of the light was mentioned in the link. For a daylight bulb, I would expect 5500K to be specified. Perhaps an email to the company could provide an answer. We use regular screw in bulbs, mounted to a ceiling fixture that are 40W and 5500K. Purchased from a regular "big box" store, Home Depot, Lowes, etc. For now was using screw in 5500k bulbs in stand lamps. I have to email them, was wondering the same? I believe that is about as close to daylight spectrum as possible. 1100 lumens is also fairly bright. I think I remember someone posting something about looking at the light for so many seconds at a specific distance, you should not see any spots. If you do, it is most likely too bright for your birds. Perhaps someone else can chime in if they remember that posting / guideline. The other question would be about the UV emissions. 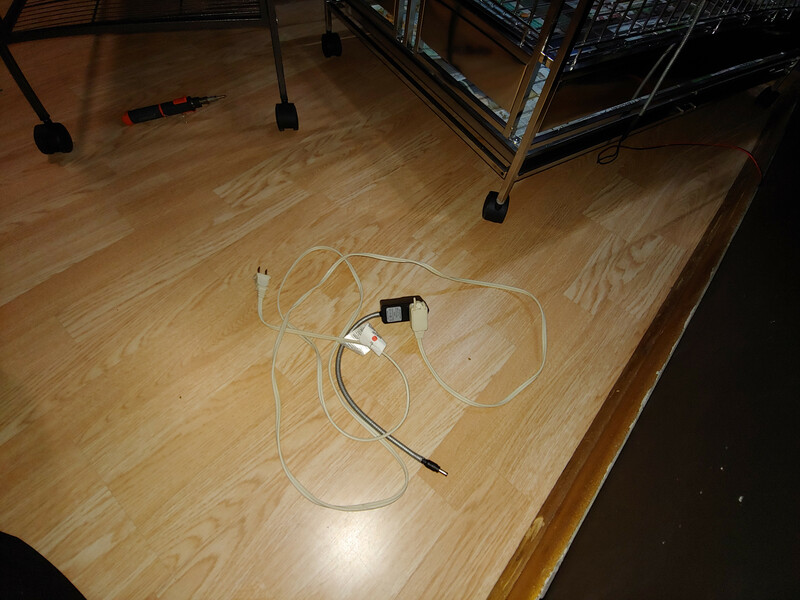 Be careful, some lights emit a harmful UV light. Hopefully others can provide some assistance. Lights that can emit UVB you have to keep about 12 to 24 inches away to avoid cataracts. Lights sure be aim going downwards so birds don't stare into it all the time. These don't emit UVB from what manufacturer states. I was wondering the same if they are to close? Did get one to try out and does light up whole cage nicely and Frankie don't mine it at all. He hate the lamp one as he stay away from it even at 24 inches away. I am going to change the mounting as I know he end up chewing up the plastic holder I did wrap it with stainless wire ties? Will try to find stainless steel hardware to bolt it in. The cockatiels ordered 10 inch version so not as much lumens only 800 lumens and will fit in breeding cage. 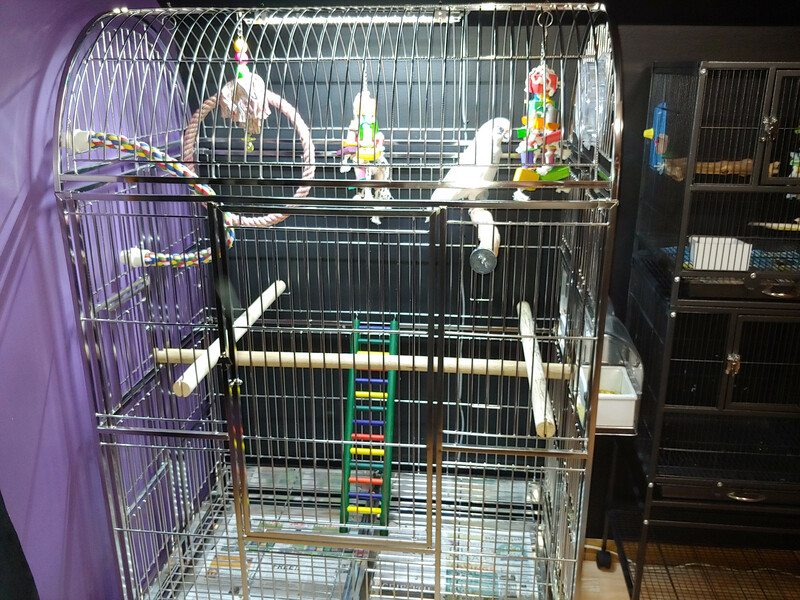 My main large Cockatiel cage will get a 18, or 24 inch. Last edited by ParrotGenie; 03-27-2019 at 09:52 PM. 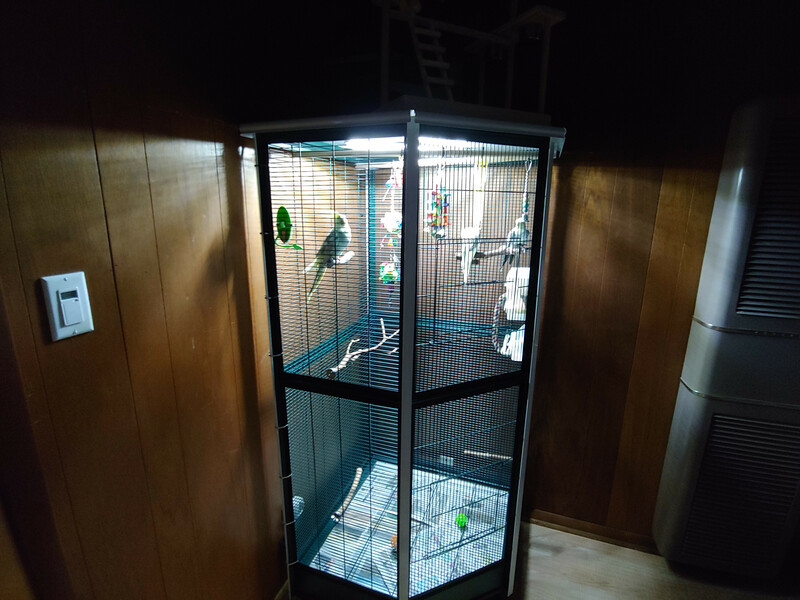 Installed a light in my main Cockatiel cage. Ditch the wire tires and plastic holder that came with the light and made holes and used stainless steel hardware to secure light, so it looks professional and that it looks like it came with cage. 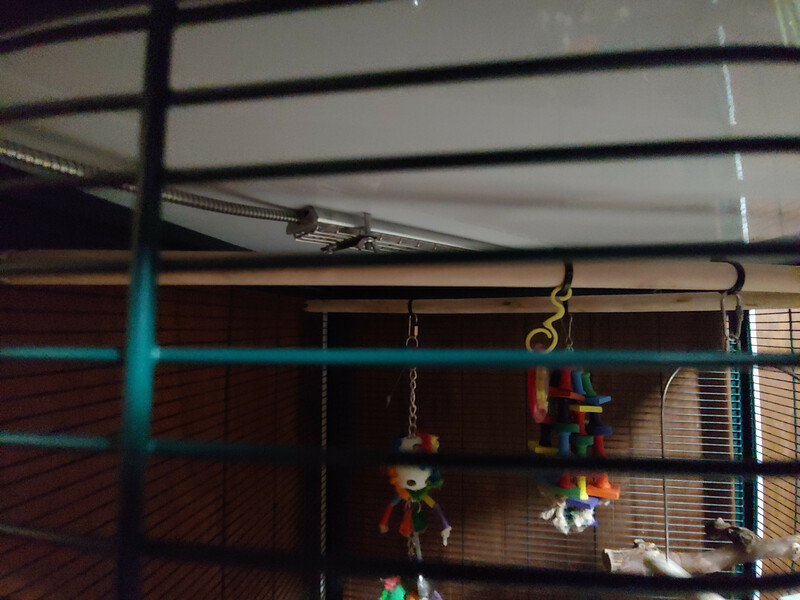 LED's was a good idea as no longer like a spot light and evenly light the cage, a big improvement over the compact fluorescent and birds seem to not mind it. 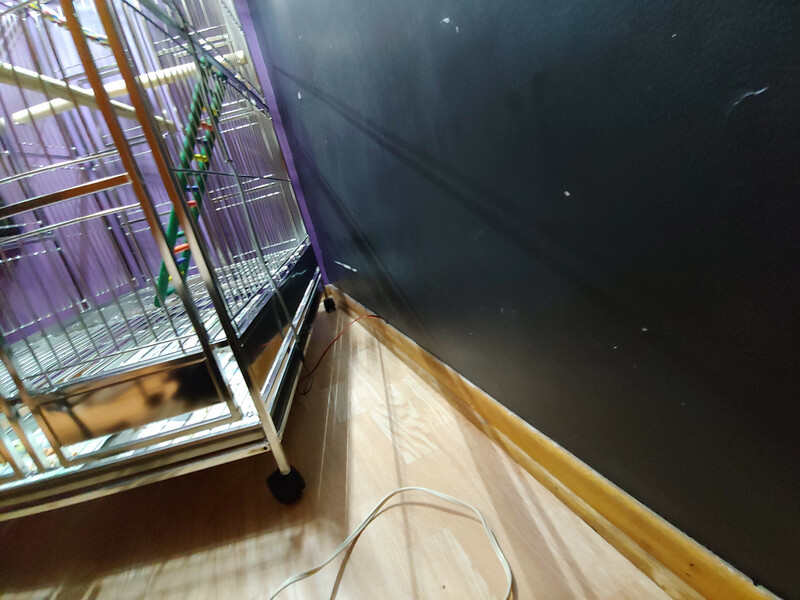 Once I get the rest of the connectors from eBay will be powering all light off 15 amp power supply on timer as lighting all cages and hide wire behind base board, so birds can't find it and chew it. 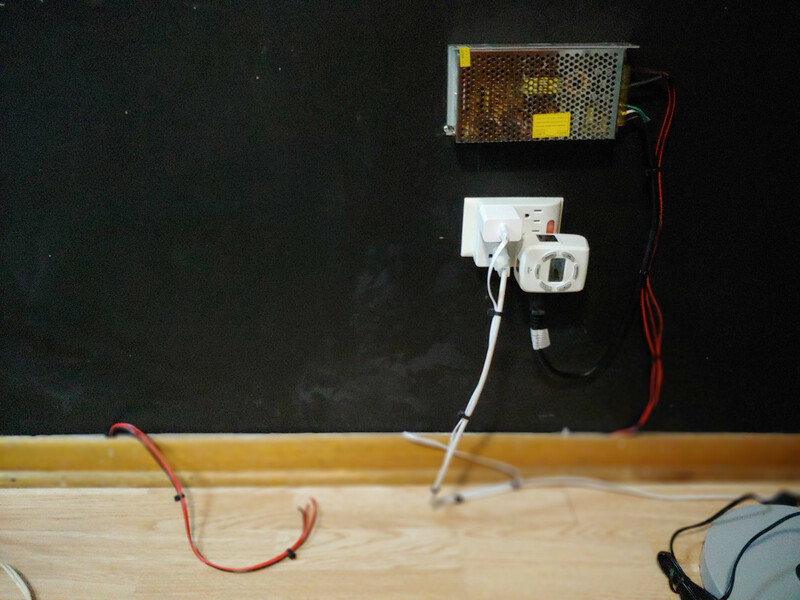 Did get rid of AC adapters and extension cord on the floor and mounted power supply for LED lights. 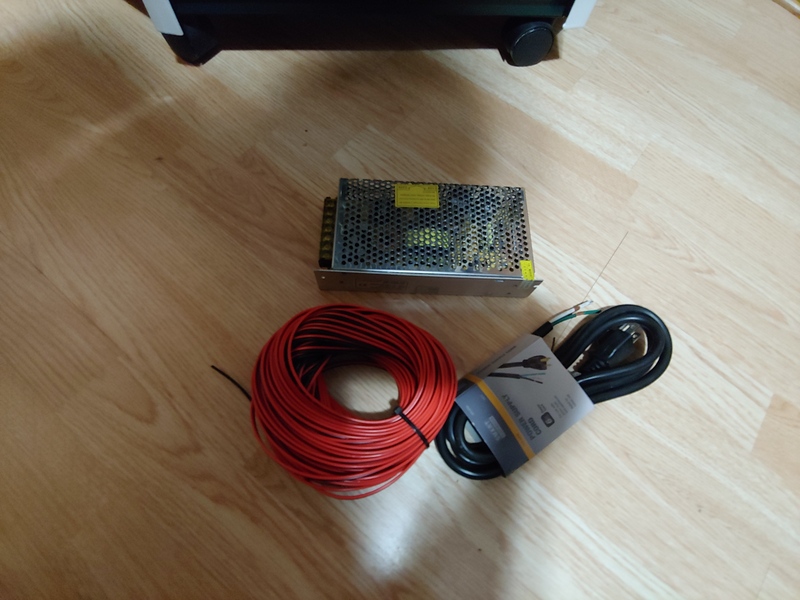 Will put new DC connector once I receive them. It's hard to tell from the photos, but it looks like the lights are extremely bright. Was it dark in the room when you took the pics? If it were me, I would be concerned about the brightness, but the pics may be deceiving.